A well-designed kitchen doesn’t happen by accident. 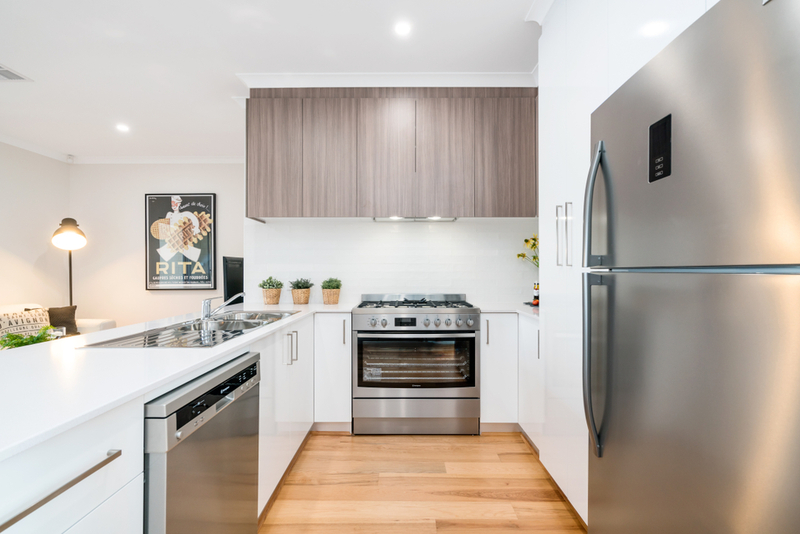 This new year, renovators must aim for a functional, ergonomic and stylish kitchen. But, a well-designed kitchen doesn’t happen by accident. There are a few essential elements to consider. Take a good look at this checklist and tick off all of the features discussed below. These are essential and non-negotiable when designing a kitchen. 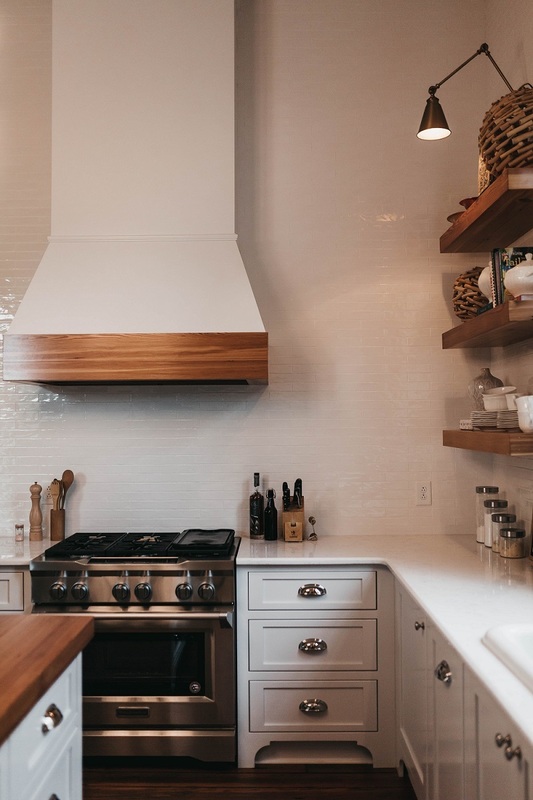 When designing your new kitchen, make sure you have enough ample storage space. If you have a small kitchen space, you need to come up with creative storage solutions. Research space-saving designs like wall-mounted storage, pull-out pantry, ceiling-height cabinets, and open shelves. Choose the correct size and kind of kitchen appliances and fixtures as well. Invest in small yet high-quality appliance models when you have a tiny kitchen. Go for a single, undermount sink to save counter space. Consider all the things you will keep in your kitchen too. Create an inventory of all your kitchen utensils and appliances. Try to declutter; let go of the unused items to have more storage space. If you are getting a new kitchen, it is advisable to get new appliances too. The current models are slimmer and compact. These pieces give you more space to move and entertain people. Newer appliances are more energy-efficient too. Look for models that have a higher energy star rating. The more stars, the more energy-saving the item is. The kitchen benchtop is the one that experiences most of the action. It needs to be high-quality, durable, low-maintenance, easy to clean, and attractive. 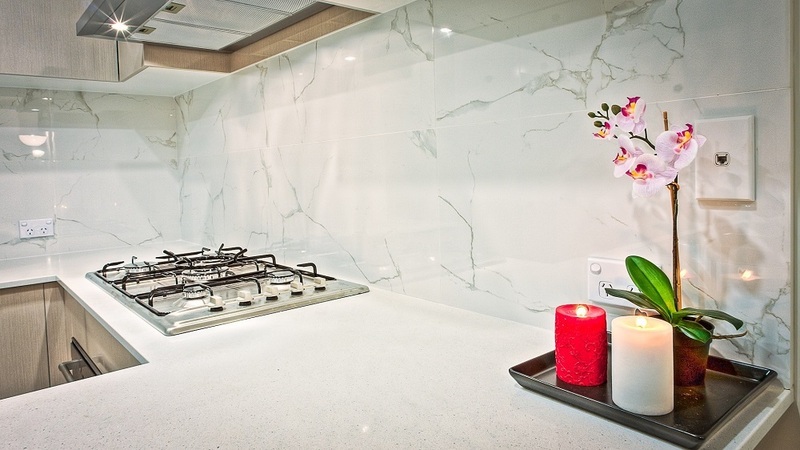 In the kitchen above, the homeowner chose to put white Quartz on the counters and paired it with a porcelain tile splashback with marble-like veins. The splashback is both a decorative and functional kitchen element. When choosing a splashback, go with a durable material that’s easy to clean. Go for a design that suits your kitchen design and your taste. Use it as a focal point in your kitchen as well. In this kitchen, the homeowner embraced a low-key design and laid grey subway tiles as the splashback. It pairs well with the Quartz countertop with grey specks in it. 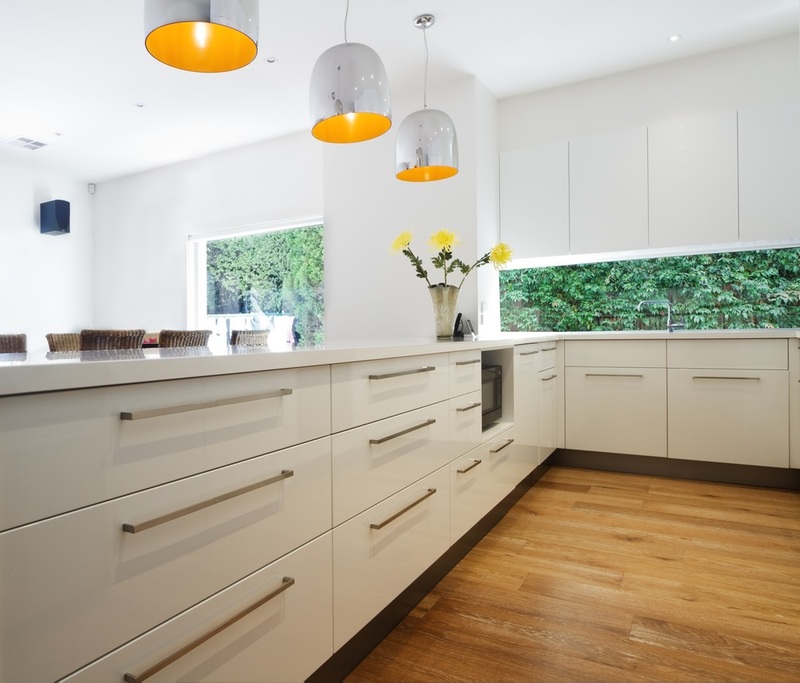 Another major factor to consider when designing your kitchen is the lighting. Have a mix of natural, ambient, task, and accent lighting. In this kitchen, the windows let in the right amount of sunshine to brighten the kitchen. Bright and warm lights illuminate the interiors, making it comfortable to move around. Pendant lights shed light, add more depth, and make work areas more practical. To accentuate the space, you can add LED toe kick lights to draw people’s attention to the kitchen. Pay attention to the small elements like the fittings too. 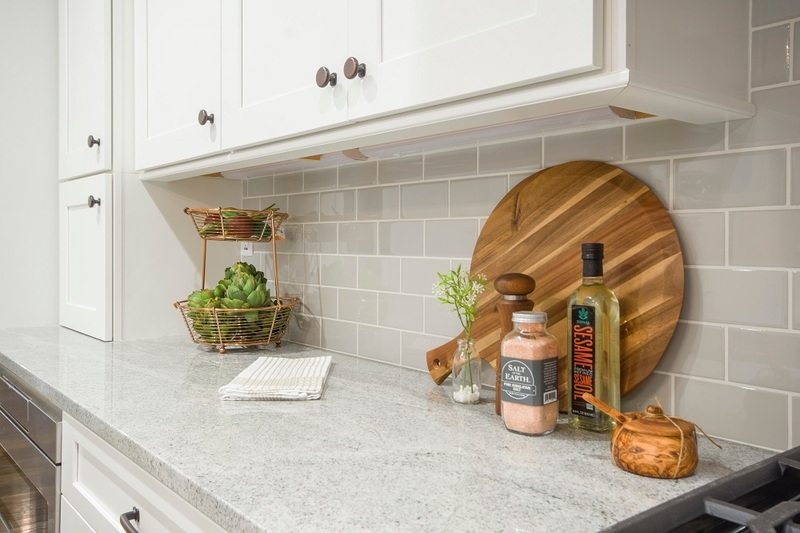 Adorn your regular cabinet with beautiful handles. 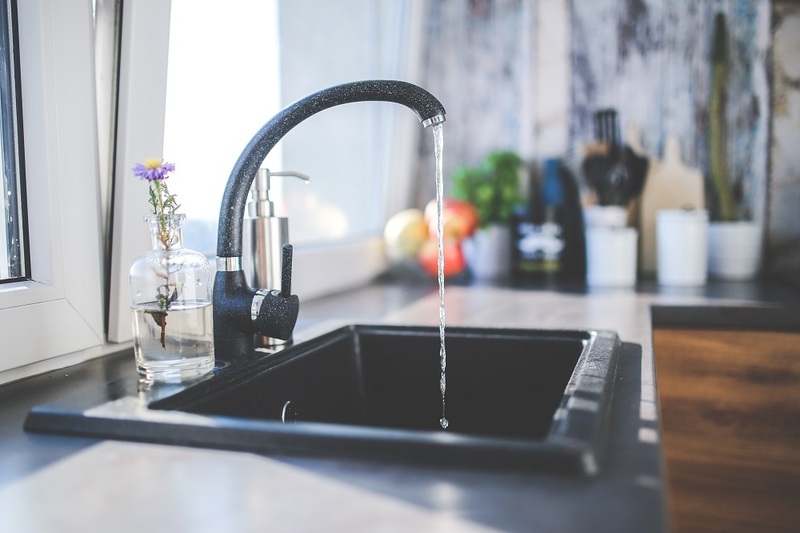 Use a stylish tap to enhance the look of your sink. In this kitchen, the homeowner used matching taps and sink. Both come in a stunning textured black with white specks. Like the countertops, you use the fittings in your kitchen often. Invest in high-quality products that are durable and nice to touch. The kitchen is a high-traffic area. When designing it, think about how you will use and walk through it. First, address which type of flooring you should choose. You can go for natural stone tiles, porcelain tiles, ceramic tiles, or concrete. You can go for timber flooring too, but seal them regularly and protect them from water damage. 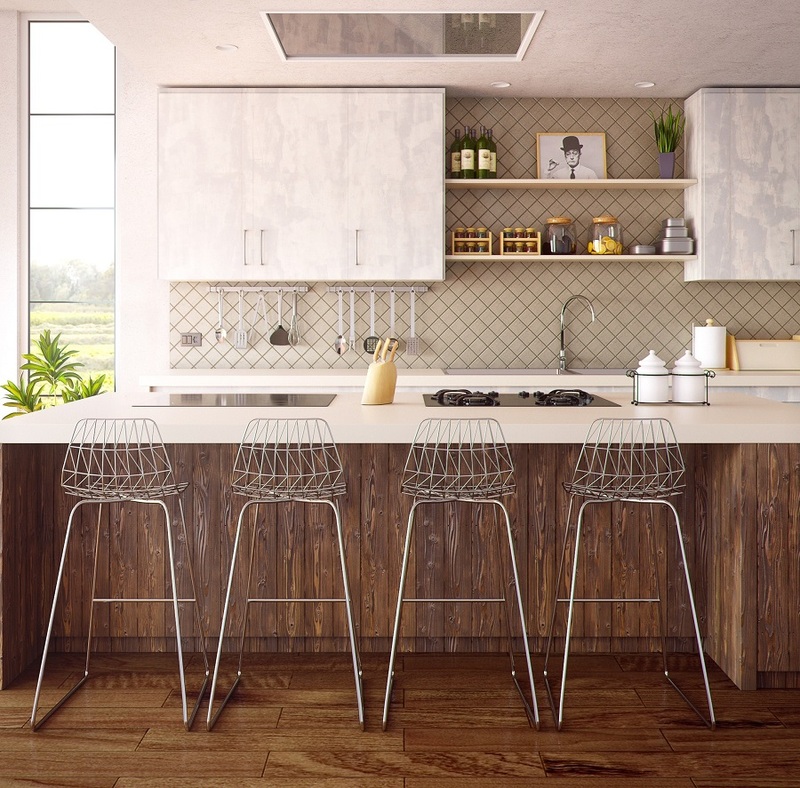 Second, consider how your chosen tiles affect the whole kitchen design. For a more timeless appeal, go for traditional flooring material. If you want to go brave and bold, go for patterned floors. Widen the walkways. Kitchen walkways must be big enough for two people working and cooking. The ideal measurement is 39-48 inches wide. The walkways must remain passable even when a few cabinet doors and the oven is open. Ensure proper ventilation. Make sure that stale air moves out of the kitchen. It helps cool the space and flush out the unwanted odours. Place multiple trash bins in the kitchen. This helps you segregate your trash. Hide them from plain sight but keep them accessible. Measure the cabinet doors. The cabinet doors must swing in the right direction and shouldn’t hit anything when open. It shouldn’t bang with other doors or your forehead. Create a landing space beside the refrigerator, microwave, and sink. This is a counter place where you put everything down, in case you need to empty your hands. Need a building designer? Find Adelaide-based design professionals.